Barcelona defender Samuel Umtiti is a wanted man with Arsenal joining Manchester United in the battle to sign the Frenchman, according to reports. The Catalan giants are reportedly keen on signing Matthijs De Ligt from Ajax, who they view as Gerard Pique’s long-term replacement, Meaning Umtiti could be available. The France international was linked with United last summer but signed a new contract with Barcelona in June with a release clause of €500m (£425m), however speculation has resurfaced recently suggesting that he could still move to Manchester at the end of the season. 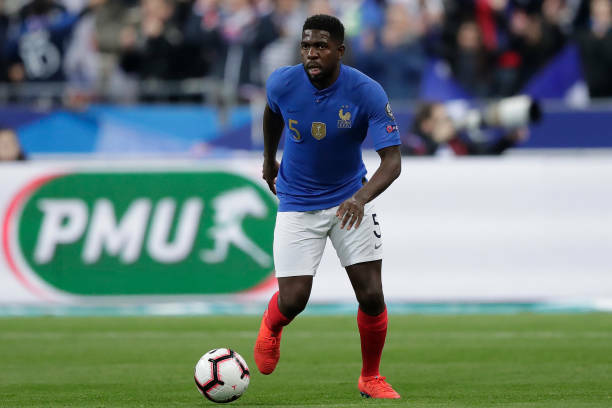 However a report from Mundo Depotivo suggests that the Red Devils are not alone in their pursuit of Umtiti, as their top four rivals Arsenal have joined the hunt. Arsenal’s head of football relations Raul Sanllehi reportedly played a big role in signing the 25-year-old for Barca three years ago, and could be influential again. Umtiti has started nine games in La Liga and the Champions League combined this season, with a knee injury restricting his opportunities under Ernesto Valverde.